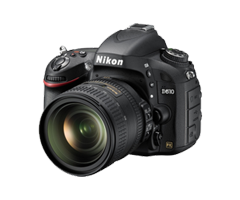 Nikon's full frame capable to produce Full HD video and can shoot pictures up to 6 frames per second at 24.3MP resolution. If you travel, then this is your choice who arrives light and as well compact. Well, give it a try today !